El Cajon Taxi Cab Service is a local company to El Cajon and Lakeside, serving the East County community of San Diego for over 12 years. We provide comfortable and premium taxi services at your request and we are constantly trying to better your experience with us. If you would like to make any comment or request, please let us know how we can better the experience for you. Even though we are East County based, if you are in downtown San Diego, at the San Diego Airport, or another location in San Diego, we will gladly come and pick you up. 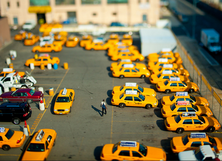 Our taxi service shuttles thousands of happy customers every year.